Posted by geoconger in Arms Control/Defense/Peace Issues, Church of England, Church of England Newspaper, House of Lords. The Bishop of Wakefield has questioned the wisdom of the government’s planned defence cuts in light of the coalition’s pledge to maintain an active foreign policy profile. Last month Defence Secretary Philip Hammond announced the MoD would scale back spending and reduce troop levels eliminate a £38bn hole in its budget. While the government had committed to spend £152bn over the next decade on new military equipment including two new aircraft carriers, six destroyers, and 14 Chinook helicopters, other programmes had been sharply scaled back or eliminated. The minister also said the government would also cut troop levels, with the Army falling from 102,000 to 82,000 and the RAF from 44,000 to 39,000. “After two years’ work, the black hole in the defence budget has finally been eliminated and the budget is now in balance, with a small annual reserve built in as a prudent measure to make sure we are not blown off course by unforeseen events,” Mr. Hammond told Parliament. Bishop Platten questioned the feasibility of the government’s plans in light of its foreign policy commitments. But peace would not come by force of arms alone, but through “effective engagement with the Taliban. The presence of US bases and Special Forces until 2014 seems to rule out the possibility of such engagement. Peace will come only with realism about this factor and not simply by force of arms. What is the Government’s response to this aspect of the peace process?” he asked. “If we are to look toward a clear role for Britain in defence and security, we need a sharpening and filling out of the scenario with regard both to strategy and securing resources for the future,” the bishop said. Posted by geoconger in Arms Control/Defense/Peace Issues, Church of England, Church of England Newspaper. The Bishops of Portsmouth have urged BAE Systems not to shutter their shipyard at the city’s naval dockyard and end 800 years of shipbuilding in Portsmouth. “The Dockyard has been at the heart of Portsmouth for centuries, and it would be a real blow to the city if this review threatened its future. It’s not just the 3,000 people who work there and their families who would be affected, but also those other local businesses who depend on the dockyard for their survival. At a time when so many are already facing economic stress, this is the last thing they needed to hear,” the bishops said. Union and government leaders joined the bishops in calling for BAE Systems to keep the dockyard open. However, a spokesman for the company said it was reviewing how to “retain the capability to deliver and support complex warships in the UK in the future” and would keep its employees and their union representatives “fully informed” of the progress. The hull and stern of the aircraft carrier HMS Queen Elizabeth were built at the yard, while the flight deck was constructed in Birkenhead. Work is currently being completed at the Rosyth dockyard. Construction of a second 65,000 tonne carrier, the HMS Prince of Wales, is scheduled to begin shortly and will keep the yard open until 2016. The company is in negotiations with the MoD over the a contract to construct a new fleet of Type 25 frigates, which would keep the dockyard busy for a decade and has prompted speculation from some union leaders the redundancy rumors are part of the company’s negotiating strategy with the government. Posted by geoconger in Arms Control/Defense/Peace Issues, Church of England Newspaper, Politics, Scottish Episcopal Church. The Primus of the Scottish Episcopal Church has joined opposition leaders in criticizing the government’s decision to close the RAF base at Leuchars in Fife. In a statement given to Parliament on July 18 Defence Secretary Liam Fox said the coalition was forced to close bases due to the fiscal irresponsibility of the previous government. “This government inherited both a national economic disaster that represented a strategic threat, and a defence programme undermined by a £38bn black hole,” Dr. Fox said, adding that “without a fundamental review for 12 years, our Armed Forces were still largely configured for the 20th Century despite a decade of sustained operations in Afghanistan and Iraq. “This failure to set out a coherent long-term strategy for defence and to effectively match commitments to resources is one of Labour’s worst legacies,” he said. He announced that RAF Leuchars will be taken over by the army and the existing Typhoon Squadron will be redeployed to RAF Lossiemouth in 2013, while army barracks in Edinburgh will be closed and other operations consolidated across the Scotland. While there would be fewer active bases in Scotland, Dr Fox said told Parliament the reorganization would give Scotland a larger “defence footprint” and would “increase by well over 2,000 posts” in the region..
Labour’s Shadow Defence Secretary Jim Murphy responded sharply that “today’s announcement of a smaller army comes from a party that promised thousands of extra troops in opposition. The SNP said the announcement confirmed the “massive and disproportionate defence cuts to the Royal Air Force and Royal Marines in Scotland that had been feared”. Bishop Chillingworth concurred with the sentiments of the opposition writing on July 18 the decision will bring “sadness and disappointment” to the people of Fife. Although it is encouraging to hear that there will be a new future for Leuchars, yesterday’s announcement will bring to an end a long and proud tradition of service. There will be a significant impact on the local economy – not just for business life but for schools and community infrastructure. In the Scottish Episcopal Church, we have enjoyed warm relationships with Chaplains and the faith community at Leuchars. We shall be sorry to lose those contacts. Posted by geoconger in Arms Control/Defense/Peace Issues, Church of England Newspaper, Episcopal Church in Jerusalem & the Middle East. The Anglican flag remains flying in Tripoli, the Bishop of Egypt reports, in the midst of the revolution to oust Col. Muammar Gaddafi. On March 13, Bishop Mouneer Anis of Egypt reported that the Rev. Hamdy Doud, the assistant rector of Christ the King Church remained in Tripoli, caring for the church. Two of the three clergy have been evacuated from Libya as have the Western expatriate members of the congregation, Bishop Anis reported. However, a number of Anglican Africans remained in the city, unable to flee. “An overwhelming number of people (at the moment mostly Tunisian and poor Egyptians) are fleeing Libya and turning up hungry and cold and traumatised on the border with Tunisia. 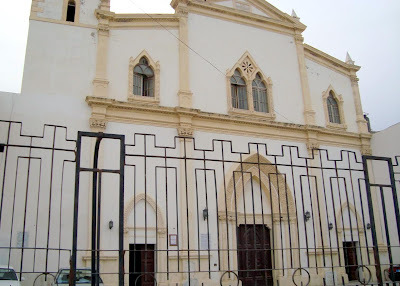 Dating from the Fifteenth century, the former Roman Catholic Church of St. Mary was given to the Anglican Diocese of Egypt by Col. Gaddafi in 2008. Following the Sept. 1, 1969 revolution that brought the then 27-year-old Col. Gaddafi to power, the Christian churches of Libya, including the Anglican Church in Tripoli were confiscated. Overtime the mercurial Libyan strongman would return properties to the Roman Catholic Church and in 2008 refurbished St Mary’s in the old city or medina of Tripoli and gave it to the diocese. Meanwhile, the situation in Egypt was equally grim, Bishop Mouneer reported, with anti-Christian riots breaking out for the first time in a generation. Writing from Cairo, the bishop reported there had been an attack on a Coptic Church south of Cairo and clashes between Copts and Muslims in Mokattam. Christians were fleeing for fear of their lives, he said. The bishop said that after the attack “many Christians demonstrated in front of the television building near Tahrir Square requesting the rebuilding of the church and guarantees for human rights for Christians. The Egyptian Army decided to rebuild the church in the same site, in spite of resistance from some Muslims in the village,” while the new government released priest from prison who had been jailed for converting a Muslim to Christianity. The financial situation was also dire, he said. The economy was “going down-hill because of the many demonstrations and the cessation of work in many factories and companies. The stock market is still closed. This has resulted in severe unemployment and subsequent poverty. Last week, the Diocese helped 870 poor families with food packages,” the bishop said. Dr. Patrick Sookhdeo, International Director of Barnabas Aid, commented that Egypt’s Christians were “reeling from this barrage of assaults that are coming from all angles. It is becoming increasingly apparent that the Egyptian revolution has made the country’s Christians even more vulnerable to attack,” he said. Posted by geoconger in Anglican Church of Korea, Arms Control/Defense/Peace Issues, Church of England Newspaper. Church leaders in Korea have issued a statement condemning the shelling of Yeonpyeong Island by North Korea, but have warned the US and South Korean governments not to antagonize the unstable regime of Chairman Kim Jong Il and provoke a full scale war with the North. On Nov 23, North Korea shelled Yeonpyeong Island, located seven miles south of the Demilitarized Zone, and 50 miles from the city of Inchon. Two civilians and two Korean marines were killed and a number of homes were destroyed. However, U.S. President Barack Obama and South Korean President Lee Myung-bak agreed last week to stage joint naval exercises as a first response and the aircraft carrier USS George Washington was dispatched to the Yellow Sea. A foreign ministry spokesman in Pyongyang said the North had responded in “self-defense” and accused the South of “reckless military provocation” that was bringing the Korean peninsula to the “brink of war,” the official KCNA news agency said. In March, a North Korean submarine sank a South Korean warship in the same area, killing 46 sailors, but last week’s attack was the first to involve civilian deaths since the bombing of a South Korean airliner in 1987. Conservative political leaders in Japan and South Korea have urged their governments to take a strong line in response to this latest attack, while China has been pressed to use its influence to rein in North Korea. However, the Rev. 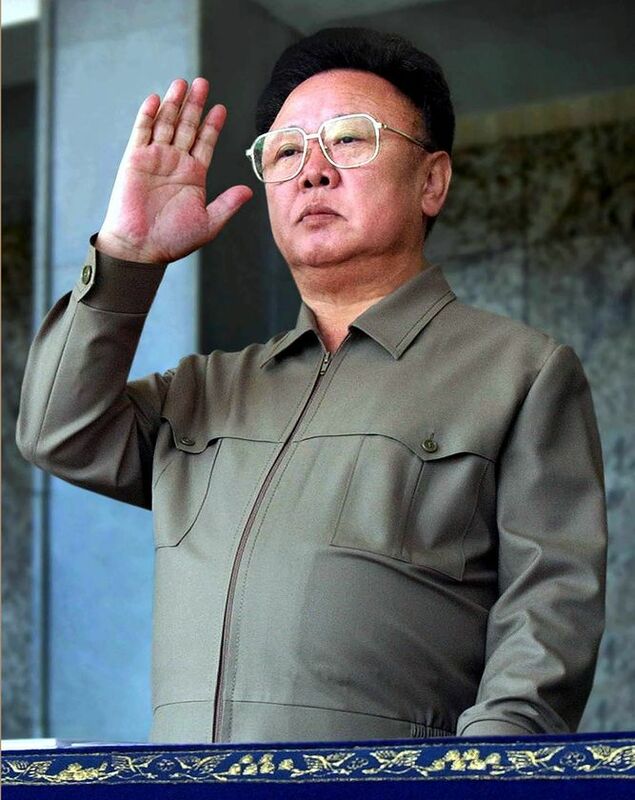 YJ Kim, general secretary of the NCCK, argued that a military solution would not resolve the Korean conflict. “Faith is the foundation of peace, not force,” he said. 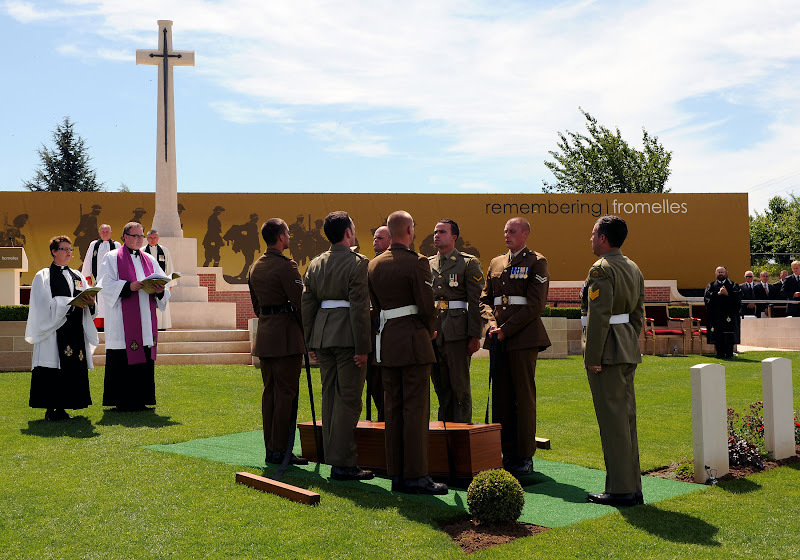 Ninety four years after they were buried in a mass grave, 250 British and Australian soldiers were re-interred in a memorial service in the French village of Fromelles on July 19. The Prince of Wales dedicated the new Commonwealth War Graves Commission Cemetery for the British and Australian dead, whose bodies were discovered by an amateur historian on the edge of a small wood in 2008. “I am profoundly humbled by the outstanding bravery of these men, who fought so valiantly,” Prince Charles said. On July 19, 1916, a combined British and Australian force sought to retake a salient in the German lines north of the German-occupied village of Fromelles, 10 miles from Lille. The night attack by the Australian Imperial Force (AIF) was the first Australian action on the Western Front in the war, and was designed to draw German forces away from the Battle of the Somme taking place 50 miles to the south. Following eleven hours of artillery bombardment the Australians went over the top at 6:00 pm. While some units were able to reach their objectives, the attack failed to break through the German machine gun emplacements. The Germans, among whose troops that day was a Corporal Adolf Hitler, buried the Allied dead on their side of the lines in a mass grave, which was only found in 2008 by an amateur historian exploring the battlefield area. Forensic analysis have identified the remains of 96 of the soldiers by name, while 109 have been confirmed to have belonged to the Australian and 3 to the British army. The remaining 42 have been classified as unknown, the organizers said. Monday’s ceremony began when the coffin of the last soldier was borne from the grave site by the Kings Troop Royal Horse Artillery. The procession journeyed through the village of Fromelles, and was met by the Prince of Wales, the Governor-General of Australia Quentin Bryce, Chief of the General Staff General Sir David Richards, Australian Army Chief Lieutenant General Ken Gillespie, and soldiers from the British and Australian Armies for a memorial service at the cemetery. Church leaders in England and Wales have responded with disappointment to last week’s nuclear Non-Proliferation Treaty (NPT) saying it fails to set a time table for eliminating nuclear weapons. The 28-page declaration adopted on May 28 by 189 nations following a month long review at the United Nations calls for a summit in 2012 to work towards banning nuclear weapons in the Middle East and asks Britain, China, France, Russia and the United States to speed up the demobilization of their nuclear arsenals. However the five nuclear powers have not agreed to a time line for disarmament. The agreement has angered conservatives in the United States and the Israeli government for singling out the Jewish state for opprobrium while also calling for it to join the NPT, while making no mention of Iran; the only NPT member nation that has been found to be in noncompliance with its UN nuclear safeguards obligations. In a joint statement released on May 29, the Archbishop of Wales, Dr Barry Morgan and the President of the Free Church Council of Wales, Rev Martin Spain, voiced their disappointment with the treaty. “In failing to agree to a timeframe for further discussions, world leaders appear simply to be paying lip service to the concept of nuclear disarmament. We didn’t expect the conference to produce a detailed plan for banning nuclear weapons, but we were looking for a commitment to move forward on the issue,” they said. “If the nuclear armed powers do not go further to demonstrate that they are prepared to relinquish nuclear weapons, then the existing international commitments on non-proliferation could unravel, leaving us all in a much more dangerous and insecure situation. The call to work towards a world free of nuclear weapons comes not only from the majority of the world’s governments but also overwhelmingly from people of all nations,” the Welsh clerics said. US President Barack Obama welcomed the NPT agreement but also voiced his objections to its singling out Israel. The new agreement “includes balanced and practical steps that will advance non-proliferation, nuclear disarmament, and peaceful uses of nuclear energy, which are critical pillars of the global non-proliferation regime,” President Obama said. “The failure of the resolution to mention Iran, a nation in longstanding violation of the NPT and UN Security Council Resolutions which poses the greatest threat of nuclear proliferation in the region and to the integrity of the NPT, is also deplorable,” General Jones said. “With the possible exception of Iran, it is difficult to see how Obama or anyone got anything out of this exercise but regret,” Mr. Sokolski said. Posted by geoconger in Arms Control/Defense/Peace Issues, Church of England Newspaper, Scottish Episcopal Church. Church leaders in Scotland have released a joint Easter letter urging voters to support candidates who will oppose funding for a new generation of Trident nuclear missiles. On April 1, the Primus of the Scottish Episcopal Church, Bishop David Chillingworth of St Andrews, Dunkeld and Dunblane, the Moderator of the Church of Scotland, the Right Rev William Hewitt, Cardinal Keith O’Brien and the leaders of five other denominations stated that funds allocated for Britain’s nuclear weapons systems would be better spent on the poor. Britain’s nuclear force is based upon four Vanguard class submarines based at HMNB Clyde on the eastern shore of Gare Loch, 25 miles west of Glasgow. Britain is believed to possess 200 nuclear weapons and each submarine is armed with 16 Trident II ballistic missiles. In 2006 the Ministry of Defence released a White Paper recommending that Trident be upgraded through the purchase of four new submarines. The estimated costs for the next generation of missiles and submarines were £20 billion, with an additional annual operating cost of £1.5 billion. In 2007 Parliament backed the Government’s plans to renew the Trident nuclear submarine system, by a vote of 409 to 161—with 95 Labour MPs breaking ranks to vote against the proposal. Posted by geoconger in Anglican Church of Southern Africa, Arms Control/Defense/Peace Issues, Church of England Newspaper, Church of Sweden. Church leaders in South Africa and Sweden have called for an independent investigation of allegations of kickbacks and corruption in the wake of a multi-billion pound arms deal. Archbishops Thabo Makgoba and Desmond Tutu have challenged the ANC government to suspend the deal, which they say will institutionalize a culture of corruption in South Africa that will derail the country’s transition to democracy. The two governments are expected to sign a £3.8 billion arms agreement this month that will provide advanced military hardware to South Africa including the Saab JAS 39 Gripen fighter-bomber. However, Archbishops Makgoba and Tutu, the former Archbishop of Uppsala K.G. Hammar and the head of the Swedish Baptist Union Karin Wiborn have charged that the funds spent on arms by South Africa would be better spent on social development. The four church leaders have also warned the arms deal would provide a further opportunity for graft and corruption in the scandal plagued ANC government in Pretoria. The South African Air Force has already begun taking delivery of seven of the twenty-eight new generation fighters. The £1.9 billion deal for fighter aircraft had won the approval of South Africa’s parliament, which was told that 65,000 jobs would be created to support and equip the new fighters. These claims of jobs were illusory and the moral consequences of the sale were troubling, the four church leaders wrote in letters published on March 28 in the Times of South Africa and in Stockholm’s Dagens Nyheter. “It is disgraceful how the armaments lobby abused the goodwill created out of the many years of solidarity against the racist apartheid government to sell the Gripen fighter aircraft,” they charged. “The absurdity of these contracts is confirmed by the reality that South Africa now even seems to lack the capacity to properly maintain the procured jet fighters. We now call for the cancellation of the remaining contracts, and for a refund of expenditures already paid,” they said. Posted by geoconger in Arms Control/Defense/Peace Issues, Church in Wales, Church of England Newspaper. On March 5, the Archbishop of Wales, Dr. Barry Morgan, the Roman Catholic Archbishop of Cardiff, Peter Smith, and the President of the Free Church Council of Wales, the Rev Martin Spain, released a statement supporting the “Now is the Time” campaign. Their concerns come in advance of the Nuclear Non-Proliferation Treaty (NPT) Review Conference this May in New York, which they see as a key moment in dismantling the nuclear stockpile. Held every five years, the NPT Review Conferences serve as a “barometer of the health of the nuclear nonproliferation regime,” the Carnegie Endowment said, and allow member states to maintain and strengthen the effectiveness of the NPT, which governs nuclear nonproliferation, peaceful uses of nuclear energy, and disarmament. While Iran and North Korea will likely be at the top of the agenda for this meeting, peace advocates hope the change of administrations in Washington will see a greater willingness in the US for the adoption of an international treaty controlling nuclear weapons. The “Now is the Time” campaign supported by the Church of England, the World Council of Churches and other UK church groups is pressing the government to sign up to a new Nuclear Weapons Convention that would put current stocks of bomb-grade uranium under international control and criminalize the state-possession of nuclear weapons. “We believe that the use or threat of use of weapons of mass destruction is immoral,” the Welsh clerics said. “We acknowledge the spread and increasing accessibility of nuclear technology and the threat that this poses to our security. We are encouraged by the prospect of significant reductions in US and Russian nuclear arsenals,” and “we call on nuclear weapons states to refrain from updating their nuclear arsenals and remind them of their “unequivocal undertaking” to meet their obligations to eliminate all nuclear weapons under the Nuclear Non-Proliferation Treaty (NPT). Posted by geoconger in Arms Control/Defense/Peace Issues, Church of England Newspaper, Episcopal Church of the Sudan, Politics. The Sudan is on the brink of civil war, the Provincial Standing Committee of the Episcopal Church of the Sudan (ECS) has warned in a statement released last week. “With less than five months before National Elections and just over one year to the referendum on southern self-determination, the Comprehensive Peace Agreement (CPA) is on the brink of collapse due to contentions over the referendum law, the demarcation of the January 1, 1956 borders, and violence recently perpetrated by other armed groups,” the ECS Standing Committee said at the close of its Nov 23-27 meeting in Rumbek. In a July briefing, the International Crisis Group (ICG) — a national security thinktank — reported the Islamist-backed National Congress Party (NCP) government in Khartoum had reneged on the terms of the peace treaty that ended 28 years of civil war. The Khartoum government “appears to have decided to allow neither the secession of South Sudan nor meaningful political reforms in the North,” the ICG said. US Special Envoy Lt Gen Scott Gration has also vowed to make saving the CPA a top priority of the Obama administration. However, the “inter-ethnic violence currently witnessed across much of Southern Sudan, the ongoing violence against civilians in Darfur, and the violent attacks on civilians being perpetrated by the Lord’s Resistance Army (LRA) in the south-west of the country,” was destabilizing the region, the church warned. The escalation of violence “will make registration and voting in the elections and referendum very difficult,” the church warned. “The conclusion that is drawn is that this violence is intended to negatively affect the elections and referendum,” it concluded. The ECS urged the national and southern governments “and the international guarantor nations of the CPA to uphold their promises of equality and freedom to the people of Sudan,” and act now to prevent the slide into war. Posted by geoconger in Arms Control/Defense/Peace Issues, British Foreign Policy, Church of England Newspaper, Iran, Iraq. The Director of the Islamic Centre of England has called for British Muslims serving in the armed forces to quit the services, as it is ‘haram’, forbidden for them to fight fellow Muslims. In an interview with the Times, Abdolhossein Moezi , who serves as Iranian Supreme Leader Ayatollah Khamenei’s Special Envoy to Britain said Muslims could not serve in Western armies when those armies were engaged in fighting Muslims in Iraq and Afghanistan. “Not only do I not accept it for Muslims to go there, I don’t accept non-Muslims to go there as well. We say that Muslims are not allowed to go and kill Muslims. Do you think Christians are allowed to go and kill Muslims?” Moezi told the Times last week. Moezi explained that his role as leader of the Islamic Centre was to provide spiritual guidance to all British Muslims, encouraging them to become good British citizens. “My personal belief is that if Muslim migrants are better Muslims in this society, they can shape their individual lives in a better way and could be better members to this society,” Moezi said. The Iranian cleric’s call is not likely to carry great weight in the British Muslim community, as the vast majority of British Muslims are Sunni and do not recognize the spiritual authority of Shia leaders such as Moezi. Posted by geoconger in Arms Control/Defense/Peace Issues, Church of England Newspaper, Episcopal Church of the Sudan. The US-brokered deal signed last week to revive the stalled Comprehensive Peace Agreement (CPA) is being greeted with skepticism by Sudanese church leaders. “To sign a piece of paper is not a sign to the people” that a lasting peace is at hand, the Primate of the Episcopal Church of the Sudan, Archbishop Daniel Deng of Juba told The Church of England Newspaper in an Aug 22 email. Representatives of Southern Sudan’s Sudan People’s Liberation Movement (SPLM) and the Khartoum government’s ruling National Congress Party (NCP) on Aug 19 endorsed an agreement resolving disputed issues arising from the 2005 CPA that ended twenty-two years of civil war between the Arab Muslim North and the African Christian South. On July 22, an international tribunal in The Hague redefined the borders of the disputed oil-rich Abyei region, but other areas along the 2000km border remain in dispute. The US State Department stated that “despite the significant progress made to date, the parties have been unable to reach agreement on several issues, namely a final determination on the use of census data,” noting that General Gration would return to Juba next month to continue the trilateral talks. The London based Arabic-language newspaper, Al-Sharq al-Awsat, stated the dispute centers around the use of census data. The NCP has insisted that data from the 2008 census be used to determine election districts. The SPLM has dismissed the 2008 census as untrustworthy and has insisted that the pre-independence 1956 census be used. “Whether Sudan will become one peaceful and free country or separate into two countries peacefully co-existing shall be decided in large degree by how we, the two parties – SPLM and NCP – implement the CPA,” he said in a press statement. However, “attempts to renege from the CPA shall lead to a catastrophic disaster of war again,” the SPLM leader warned. “Since the CPA was signed four years ago the situation in the Sudan never changes. To sign a paper is not a sign to the people,” Archbishop Deng said. Posted by geoconger in Arms Control/Defense/Peace Issues, British Foreign Policy, Church of England Newspaper, Scottish Episcopal Church. The Bishops of the Scottish Episcopal Church (SEC) have written Prime Minister Gordon Brown urging the government to forgo its plans of replacing the Trident nuclear weapons system. Last week the College of Bishops also endorsed a letter prepared by the convener of the SEC’s church in society committee the Rev. Ian Barcroft that called upon the government to place the decommissioning of Trident “on the table” at next May’s meeting of the Non-Proliferation Treaty review conference. “It is very difficult to defend the possession of weapons of mass destruction with a conditional intent to use them in terms of traditional Christian teaching,” Mr. Barcroft stated, adding that that it was impossible for Christian pacifists to accept Trident. Christians who believe that nuclear arms have a legitimate place in the country’s arsenal “would only do so in the context of a firm commitment to moving towards disarmament and ending reliance on weapons of mass destruction,” he said. Posted by geoconger in Arms Control/Defense/Peace Issues, Church of Ceylon, Church of England Newspaper. The Bishop of Colombo has called upon his government not to treat all Tamils as potential terrorists, but to affirm their “rights and dignity” as citizens of Sri Lanka. In a statement published in Sri Lanka’s national newspapers, Bishop Duleep de Chickera has also urged the government to take swift action to address the address the humanitarian crisis in Northern and Eastern Ceylon left in the wake of the 26 year long civil war between the government and the Liberation Tigers of Tamil Eelam (LTTE), or Tamil Tigers. On May 7, Bishop de Chickera urged the government to take the necessary steps to ensure that its military victory would be followed by a just and lasting peace. The hundreds of thousands of refugees “crushed and deprived for years” by war, should be treated humanely, he said. The second is for a “just and speedy political response to the grievances of the Tamil people,” the bishop said. Mired in ethnic conflict since independence from Britain in 1948, the civil war began in 1983 and has led to the deaths of an estimated 70,000 civilians. According to a 2001 government survey, Sri Lanka’s main ethnic groups are the Sinhalese (82 percent), Tamil (9.4 percent), and Sri Lanka Moor (7.9 percent). In the wake of independence, the Sinhalese majority began to disenfranchise Tamils, who they charged had been favored by the British in the colonial era. In 1972 the country’s name was changed from Ceylon to Sri Lanka, Sinhala made the official language and Buddhism declared the nation’s primary religion. Formed in 1976, the LTTE under the leadership of the charismatic Velupillai Prabhakaran began a campaign for a Tamil homeland in northern and eastern Sri Lanka, where the majority of Tamils reside. In August 2005, the assassination of Sri Lanka’s foreign minister, Lakshman Kadirgamar, intensified the conflict, and in 2008 a hard-line anti-LTTE government ended a Norwegian brokered ceasefire and began the military campaign that led to victory this week. Posted by geoconger in Arms Control/Defense/Peace Issues, Church of England Newspaper, Church of Nigeria. Archbishop Peter Akinola has denounced the Nigerian military’s search and destroy campaign targeting militants in the oil-rich Niger Delta. Unless the military campaign that has included air strikes on villages suspected of harboring militants was halted, Nigeria’s democracy was headed for doom, Archbishop Akinola said according to a May 19 report in the Lagos Vanguard. The Vanguard reported on May 18 that three villages were attacked by helicopter gunships on Friday and seven other villages attacked on Sunday, leaving 65 dead and over 100 wounded. Ijaw tribal leaders claimed more than 30,000 villagers in the region were taking shelter in the mangrove swamps to escape the fighting between government soldiers and militants. In a statement given to the Nigerian press, the Movement for Emancipation of the Niger Delta (MEND), the main guerilla group said the government claims of victory were hollow. “Considering that ours is a war of detachment and our camps are not meant to serve as permanent barracks, fighters from Camp 5 simply relocated to another camp with all their weapons and ammunition intact. This is normal in guerrilla warfare”. In a report released last week, the International Crisis Group stated that civil unrest was rife across the Niger Delta. In the first nine months of 2008 over 1000 people had been killed and 300 kidnapped by criminal gangs and guerillas. The government also reported that attacks on oil pipe lines, theft and sabotage during the first nine months of 2008 had cost £15 billion in lost revenue. While the Niger Delta produces most of Nigeria’s oil wealth, successive governments have not returned the oil income to the region. Nigeria produces one-fifth of the US’s energy needs, yet some parts of the region like the Bayelsa state are not linked to the national electricity grid. In December a government committee recommended the appointment of a mediator to facilitate negotiations between militants and the government, the granting of amnesty to militant leaders not involved in crime, the disarmament and rehabilitation of guerillas, and channeling 25 percent of the country’s oil revenues back in to the region—up from the current 13 percent. However, in February President Yar’Adua announced a new committee would be formed to study the old committee’s recommendations. Archbishop Akinola told the Vanguard the government must act quickly to stem the violence in the Niger Delta and address the people’s economic, social and ecological needs. Corruption and favoritism in state and industry that favored outsiders over local residents must stop, he said. The Archbishop of the Sudan has issued a plea for international help to prevent the outbreak of a third Sudanese Civil War. Weapons have flooded the country, Archbishop Daniel Deng of Juba has warned in a May 4 letter to the international community and the Comprehensive Peace Agreement (CPA) that ended the Second Sudanese Civil War is in danger of collapse. Signed in January 2005, the CPA or Naivasha Agreement ended the war between the Arab Islamist government in Khartoum and the predominantly Christian and African Sudan People’s Liberation Movement (SPLM). Almost 2 million people died from war-related famine, disease and violence from the conflict, the US Committee for Refugees and Immigrants reported, while four million people, an estimated 80 per cent of the population of Southern Sudan were forced into flight during the war. Sudan’s first civil war lasted from independence in 1955 to 1972 and its second civil war was fought over the same ground and same issues from 1983 to 2005. A third civil war was on the horizon, Archbishop Deng warned, unless the US, UK, the Netherlands and other regional governments that had guaranteed the CPA took action. Posted by geoconger in Arms Control/Defense/Peace Issues, Church of England Newspaper, WCC. The Conference of European Churches (CEC) has joined three international church groups to call upon Nato not to enlarge its nuclear umbrella or antagonize Russia by expanding the alliance eastward. A letter urging Nato to lay down its nuclear arms was sent to government leaders meeting April 3-4 in Strasbourg by the four church groups. Joining Archdeacon Colin Williams, the General Secretary of CEC were the General Secretary of the World Council of Churches, the Rev Samuel Kobia; the General Secretary of the US’s National Council of Churches of Christ, the Rev Michael Kinnamon; and the Rev Karen Hamilton, General Secretary of the Canadian Council of Churches. Posted by geoconger in Arms Control/Defense/Peace Issues, Church of England Newspaper, Episcopal Church of the Philippines. Tony Blair has been tapped by the government of Philippine President Gloria Arroyo to broker a peace deal between the Manila government and Muslim rebels. On March 24 Mr. Blair met with President Arroyo at the Malacañang Palace in Manila with Mrs. Arroyo to discuss ways of ending the 30 year old Muslim secessionist campaign on the southern island of Mindanao. A government spokesman told reporters Mr. Blair’s experience in Northern Ireland, as well as his current work as envoy to the Middle East on behalf of the “Quartet”: the US, UN, EU and Russia, made him an ideal choice. Church leaders in Sri Lanka have called upon the Tamil Tigers stop using civilians as human shields against attacks by government forces. Last week the Sri Lankan military broke a decade long stalemate in that country’s civil war, and captured a number of strongholds held by the rebel Liberation Tigers of Tamil Eelam-the Tamil Tigers (LTTE). He promised full civil rights to the Tamil minority of Northern Ceylon once law and order was restored. “I pledge to you today, that these people who share our motherland, will be liberated and given the equality and all rights that they are entitled to, under the Constitution,” the Sri Lankan President said. The 25 year old civil war waged between the majority Sinhalese government and Tamil separatists in the north and east of Sri Lanka has left over 63,000 dead and tens of thousands displaced by the fighting. Both the Tamil Tigers and the government have come under criticism for their conduct towards civilians in the disputed regions. Human Rights Watch accused the Tamil Tigers of forced recruitment of soldiers by requiring each family to supply two or more soldiers to its ranks. The Tamil Tigers have also instituted a pass system at road junctions and other strategic points—forbidding civilians to flee to government-held territory to escape the fighting. With government forces closing in, the Tamil Tigers have blocked people from fleeing from the fighting. In a joint statement issued with the island’s Roman Catholic bishops, the Anglican Bishop of Colombo, the Rt. Rev. Duleep de Chickera, and the Anglican Bishop of Kurunegala, the Rt. Rev. Kumara Ilangasingha called for the rebels to leave civilians alone. “There should be no restriction of the civilians’ right to life and movement,” they said. The Bishop of Colombo, the Rt. Rev. Duleep de Chickera has called upon the Sri Lanka government and the forces of the Liberation Tigers of Tamil Eelam (LTTE)—the Tamil Tigers—to end the civil war that has left over 65,000 dead since 1983. His remarks came as Tiger Tamils carried out a series of surprise air attacks on Colombo with light aircraft dropping bombs on an army base and on the city’s main power station in Kelanitissa. Speaking to his diocesan synod on Oct 26, Bishop de Chickera said the church had a duty to speak out for peace, and to offer its support for the over 600,000 people driven from their homes by the fighting. Tamils fleeing the violence in Northern Ceylon were being “demonized” by the majority Sinhalese community, he said, and were regarded as potential traitors. Many Tamils had become “trapped in the struggle for military supremacy and the divisive political agendas of the warring sides. Tamils are also treated with growing suspicion and are subject to harassment as the anti terrorist propaganda taints them all as threats to national security,” he said. It was unjust, Bishop de Chickera argued for Tamil refugees to register with the police, while their Sinhalese neighbors were free to move about the country. This “sent out signals that Tamils particularly must be kept under surveillance. Little thought was given to the hostility that these equal citizens consequently encounter in their neighbourhoods,” he argued. Bishop de Chickera called for Sri Lanka to adopt an “ethos of democratic pluralism in which dissent will be welcome, diversity respected and minorities treated as equals. Visionary and inclusive leaders and multi cultural schooling will be indispensable for this process. It is as we stop demonising the other and our children associate with each other that we will learn to co-exist,” he said. The Christian Church had a “part to play in this transformation” of Sri Lanka, and could bring the notion of “restorative justice” to the bargaining table. “This demanding but rewarding shift will enable forgiveness and reconciliation and bring healing to both victim and perpetrator. It breaks the cycle of revenge,” he said. But whatever course the war took, Christians were “called to demonstrate both repentance and faithfulness in Christ. We must be converted and take on the role of servants, pastors and prophets. It is only then that we will become useful instruments of peace, justice and reconciliation in the Nation,” Bishop de Chickera said. On Sept 10, the Rt. Rev. Richard Chartres presided at a service at St. Paul’s Cathedral commemorating “Operation Banner,” the 38-year military campaign in Northern Ireland. Over 300,000 servicemen were deployed in “Operation Banner” from 1969 to 2007 and 763 were killed and 6,116 wounded. At its height in 1972-1973, 27,000 troops were stationed in Ulster to combat terrorism. The torch now passes to the people of Ulster, he said. “The people of Northern Ireland and their community leaders have suffered much. They want to move on now and are at work building a new future. “Much remains to be done, healing memories, embedding hope but the military phase, Operation Banner, has been brought to a conclusion and we can give thanks for it,” Dr. Chartres said. At the close of the service 700 veterans marched through the city to the London Guildhall and the Prince of Wales took the salute outside the cathedral. Posted by geoconger in Anglican Church of Burundi, Arms Control/Defense/Peace Issues, Church of England Newspaper, WCC. The Archbishop of Burundi led a delegation from the World Council of Churches (WCC) last week to Berlin, to press the German government to curtail its shipments of weapons to the developing world. “Does Germany have to be the EU arms sales champion?” Archbishop Bernard Ntahoturi asked State Secretary Christian Schmidt at the Defence Ministry in Berlin on July 1. Posted by geoconger in Arms Control/Defense/Peace Issues, Church of England Newspaper. WAR could erupt in the Caucasus unless Russia and Georgia take affirmative steps to reduce tensions, the Patriarch of Georgia’s Orthodox Church warned last week. In a statement released on April 20, the Catholicos of All Georgia, Patriarch Iliya II stated the border dispute between the two former Soviet republics was in danger of spiraling out of control. He asked his counterpart, Patriarch Alexy II of Moscow and All Russia to join him in using “the role and authority of our churches to prevent the escalation of tensions and the normalisation of bilateral relations. Posted by geoconger in Arms Control/Defense/Peace Issues, Church of England Newspaper, Church of Sweden. The Church of Sweden has come under attack for violating the spirit of its ethical investment policies for investing in the shares of alcohol distilleries, weapons manufacturers, and mining and oil companies with poor environmental records and dubious ties to the regimes of some of the world’s worst human rights violators. The April 4 issue of the Church of Sweden’s newspaper, Kyrkans Tidning, stated that an internal report found the Church held shares in firms such as General Electric—manufacturer of engines for the American B-1B bomber, and Chevron, which has a joint venture with the Burmese military junta. “Our church should not have shares of companies involved in the business of death,” said the Rev. Helle Klein, a pastor in the Stockholm suburb of Nacka. However the Church’s treasurer Helen Ottosson Loven told Stockholm’s TV4 “the Swedish church recognizes the right of states to defend themselves,” and its investment guidelines permit holdings in armaments manufactures. “But it’s a problem that weapons can end up in wrong hands and the lack of transparency in the arms trade can contribute to corruption,” he said, saying the Church must carefully examine the policies of potential stock picks. In recent years the Church had reversed its stance on investing in oil and mining companies, and now has holdings in Chevron, Rio Tinto, Anglo American PLC, Schlumberger, Mitsui and other multinationals. “Our starting point is that we have to invest in companies who act responsibly, such as companies who focus on environmentally compatible technologies and who minimizes the negative effects” on the environment, Thorendal said. Shares in distilleries are not forbidden, Thorendal said, as the Church does not reject the moderate use of alcohol. However for the Church to own the shares of a distillery, it must “behave responsibly” and not market its products to young people. In the case of Chevron, which uses a gas government owned pipeline in Burma built by slave labour, the Church seeks to “dialogue” with it to change its policies. “It’s more responsible to try to influence a company to change” than to sell its shares he said. However, clergy in the Swedish church have objected to its pragmatic investment policies. “The church must have different guidelines for shareholding from a private company. How should we as a church fight for peace, if we simultaneously invest in the weapons industry?”, the Rev. Yvonne Eriksson told Der Standard. Posted by geoconger in Arms Control/Defense/Peace Issues, Church of Ceylon, Church of England Newspaper, Politics. The intensification of the civil war in Sri Lanka has elicited renewed calls for peace from the Anglican Church of Ceylon. The Bishop of Colombo, the Rt. Rev. Duleep de Chickera has condemned government air attacks on Tamil villages in northern Sri Lanka sheltering Tamil Tiger rebels, [LTTE] and the LTTE terror bombing campaign targeting Sinhalese civilian. The terrorist attacks demonstrated a “total disregard” for human life and were “counterproductive” to the cause of Tamil independence. The LTTE attacks were stiffening the resolve of the government not to give in to terrorism and were leading “to the conversion of moderates to extremism,” he said. He also noted his “great concern” about government air attacks on rebel-controlled bases. Two church run orphanages were in rebel territory he said. These children “live in fear and have nowhere to run except into their bunkers when the planes arrive. Please do everything possible to avoid harming these little ones,” he asked the government. Bishop de Chickera urged Sri Lankans of all ethnic backgrounds “to remain calm under provocation and to do all we can to strengthen understanding and peaceful coexistence,” between the country’s ethnic communities. Posted by geoconger in Arms Control/Defense/Peace Issues, Church of England Newspaper, Church of the Province of Uganda, Episcopal Church of the Sudan. The Lord’s Resistance Army (LRA) has moved into Kajo Keji county in Southern Sudan, the Episcopal Church of the Sudan reports, sparking an exodus of civilians and fears the Ugandan civil war will spread north into the Sudan. On Jan 30 a battalion of LRA soldiers raided villages 75 miles south of Southern Sudan’s capital of Juba abducting 40 people, and killing four, according to a report released by an assessment team from the Diocese of Kajo Keji, the Danish Refugee Council and the government of South Sudan. Church and aid leaders have urged the South Sudanese army to repel the invaders, and asked the international community to pressure the LRA to sign a peace agreement with Uganda, ending the 22-year war. The LRA has denied involvement in the attacks. “We do not have any forces in that area,” LRA chief negotiator David Matsanga said according to a report published by the IRIN news service. Posted by geoconger in Arms Control/Defense/Peace Issues, Church of England Newspaper, Episcopal Church of the Philippines, Nippon Sei Ko Kai. Church leaders from the Philippines and Japan have issued a joint statement denouncing US military policies in East Asia, and condemned plans for a free trade agreement between the two countries. “We stand against the forces of war and militarism: we lament the sustained US military war exercises in Mindanao and their presence in the rest of the Philippines, and the expansion of its bases in Okinawa,” delegates from the National Council of Churches in the Philippines (NCCP) and the National Christian Council in Japan (NCCJ) said at the close of their joint Jan 21-25 meeting in Davao City. “We do not want our countries as launching pads for the US wars of aggression against the peoples of the world for its sole economic and political interests,” they said. “Peace and justice” remained an “enduring concern” for the Episcopal Church in the Philippines and the NCCP he said. The churches sought not to replace one regime with another, but to foster a “theology and spirituality that affirms the sanctity of life and the gifts of grace and providence bestowed on us by the Creator,” he said, and lead to the transformation of Filipino society. THE BISHOP of Colombo has denounced the escalation of violence in the decades-old civil war in Sri Lanka, which has seen two MPs murdered by terrorists in less than a week. On Jan 8 the government’s Minister for National Building, DM Dassanayake was killed after his car hit a land mine on the highway heading north of Colombo to the country’s international airport. Last week a prominent Tamil parliamentarian was shot dead in a Hindu temple in the capital. Posted by geoconger in Arms Control/Defense/Peace Issues, Church of England Newspaper, The Episcopal Church. The US government’s RRW programme seeks to replace the military’s current stockpile of nuclear warheads with a new generation of bombs that require less maintenance and are safer to test, monitor and store. Congress has asked that up to 2200 new thermo-nuclear bombs be manufactured to replace the remaining Cold War stockpiles. THE PRINCE of Wales has dedicated a stained glass window at Salisbury Cathedral to commemorate the 50th anniversary of the Army Air Corps (AAC). Prince Charles, the Colonel in Chief of the AAC along with the Chief of the General Staff, General Sir Richard Dannatt, the Dean of Salisbury, the Very Rev June Osborne (pictured), the Rev David Wilkes Chaplain-General to the Forces, and the Bishop of Salisbury, the Rt Rev David Stancliffe led the Nov 16 service for the men of the seven Regiments of the AAC. The AAC window consists of two panels depicting the Archangel Michael and St Christopher with depictions of AAC military operations. At the base of the window lie the AAC prayer and a passage from Isaiah. Posted by geoconger in Anglican Church of Korea, Arms Control/Defense/Peace Issues, Church of England Newspaper, Church of Ireland. FORGIVENESS is the prerequisite for peace, Lord Eames told the Towards Peace in Korea (TOPIK) conference this week. Over 150 church leaders gathered in Paju, South Korea, at the invitation of the Anglican Church of Korea to lend the Church’s moral support to peace and reunification on the Korean peninsula. The campaign also seeks the creation of a government agency to retrain defence workers and place them in “peaceful” professions. The Nov 1 ceremony kicks off a national petition campaign that seeks to “articulate the popular opposition to aggressive war and promote Scotland as a force for peace. Posted by geoconger in Archbishop of Canterbury, Arms Control/Defense/Peace Issues, British Foreign Policy, Church of England Newspaper, Episcopal Church in Jerusalem & the Middle East, Iran. The Archbishop of Canterbury has denounced suggestions of a preemptive military strike against Iran’s nuclear weapons programme, saying it would upset the region’s security balance and bring misery to its peoples. “We do hear talk from some quarters of action against Syria and Iran. I can’t understand what planet such persons are living on, when you see the conditions that are already there,” he said. In a statement released upon his return from Syria, Dr. Williams described as ‘heartbreaking and harrowing’ a meeting he held in Syria with 200 Christian Iraqi refugees. He told the refugees he would share their plight with the West, and upon return to Britain said their situation required urgent attention. THERE ARE signs that the 54-year old stalemate between North and South Korea may be coming to an end, the CMS’ Head of Communications John Martin stated following a visit to the peninsula. Martin noted that there were ‘encouraging signs’ in the political relations between the two countries, officially still at war, including a scheduled visit by South Korean President Roh Moo-Hyun to Pyongyang on Oct 2-4, and the July decision by the North in July to close its Yongbyon nuclear reactor project. Posted by geoconger in Arms Control/Defense/Peace Issues, Church of England Newspaper, Nippon Sei Ko Kai. THE DIOCESE of Chubu has urged voters to reject the ruling Liberal Democratic Party’s [LDP] plans to amend Japan’s ‘Peace Constitution’, saying a remilitarised Japan could provoke a world war and would turn the country into an Asian Britain, making it a tool of American foreign policy interests.“If we don’t dissuade the government of Prime Minister Shinzo Abe (pictured) from changing Japan’s Peace Constitution, not only will the world be losing a powerful instrument for peace, but the change may also precipitate a war in Asia, in which China would almost certainly be involved, and to which the US would almost certainly respond,” the Central Japanese diocese’s international affairs commission said last week. Posted by geoconger in Arms Control/Defense/Peace Issues, British Foreign Policy, Diplomatic & Foreign Affairs, Israel, Jerusalem Post. “There is evidence that the British government’s export control policy to Israel may have been tightened up,” said Parliament’s new 2007 Strategic Export Controls report, issued by the Quadrapartite Commission, which comprises representatives from four ministries. Posted by geoconger in Arms Control/Defense/Peace Issues, British Foreign Policy, Church of England Newspaper, Russian Orthodox. The Russian Orthodox Church has backed President Vladimir Putin’s opposition to US plans to install a missile defence shield in Eastern Europe. The head of the Moscow Patriarchate Department for External Church Relations Metropolitan Kyrill of Smolensk and Kaliningrad urged religious leaders last week to stand with the Russian Orthodox Church in opposing an American “arms race” in Europe.U.S. plans to install an anti-missile defense system in the Czech Republic and Poland were a threat to a “peaceful future” for Europe, Kyrill said to European church leaders in Cologne on June 5, according to a transcript published on the internet by the Moscow Patriarchate. Posted by geoconger in Arms Control/Defense/Peace Issues, British Foreign Policy, Church of England, House of Lords. I speak as one deeply troubled that the United Kingdom military is using these M85 weapons in my name,” Bishop Stevens said on May 17, rejecting government claims that cluster bombs were a legitimate part of the military’s arsenal.